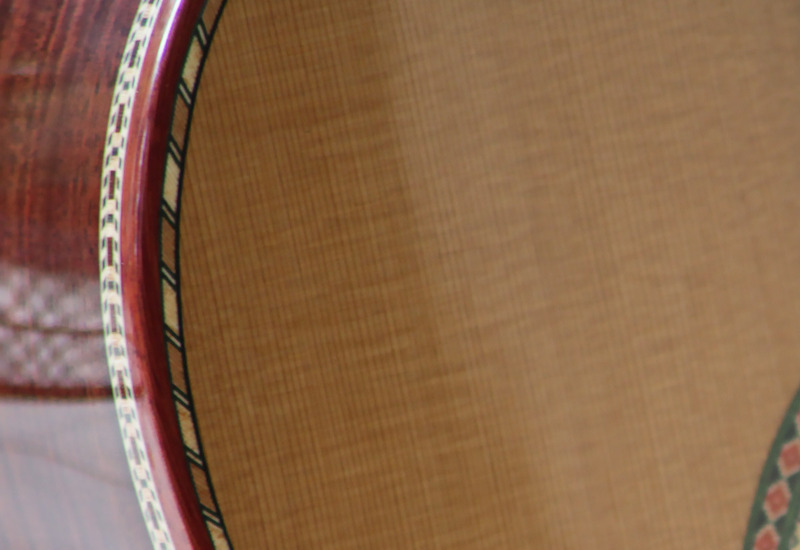 - The 9-braces Hauser fan is the result of many years of experimenting. 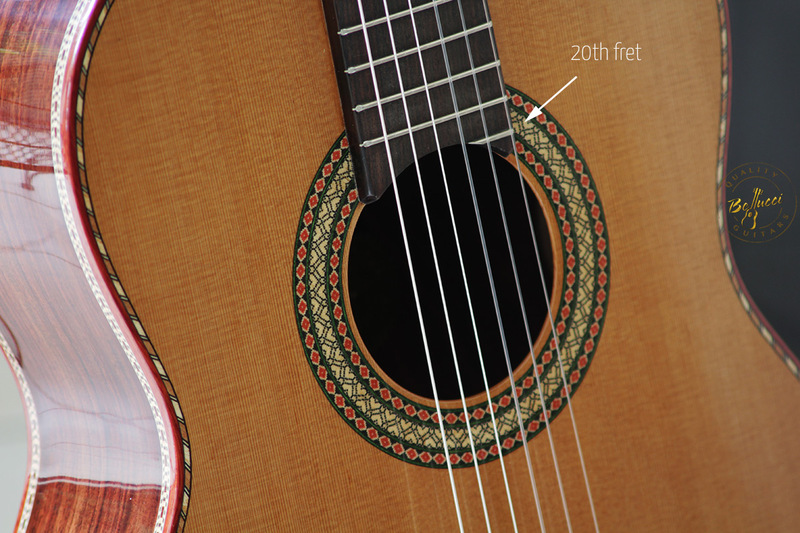 It is based on Torres 4 fan brace design. 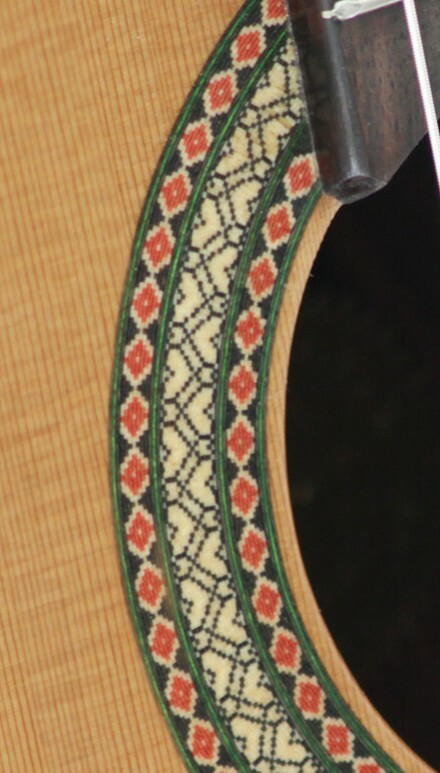 The braces act as sound vibrations highways. 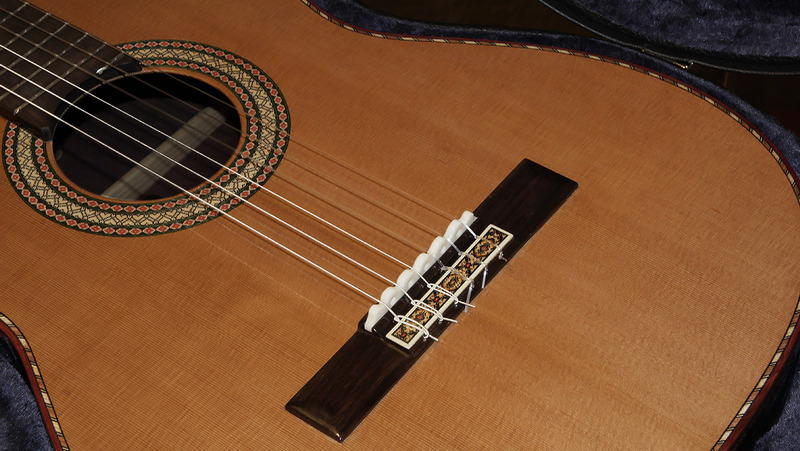 They carry the vibration of each string to a specific spot on the soundboard. 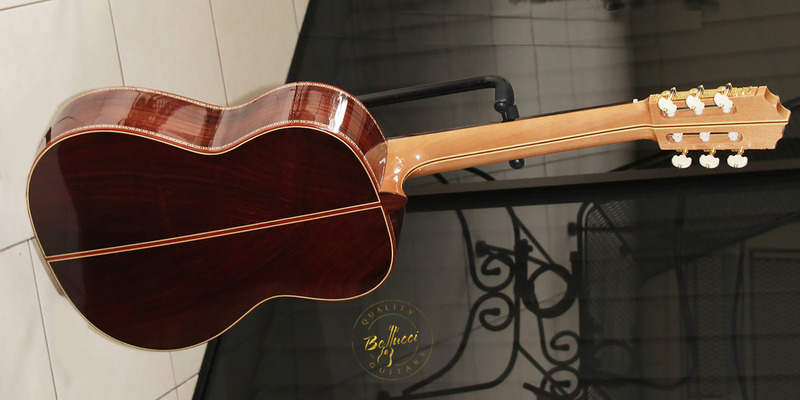 - The Bellucci Triple Neck Reinforcement (Maple-Rosewood-Maple) adds beauty and resilience to the neck allowing us to build it slim and when coupled to the Carbon Fiber Truss rod or the Adjustable Truss Rod, it ensures a straight neck for ages. 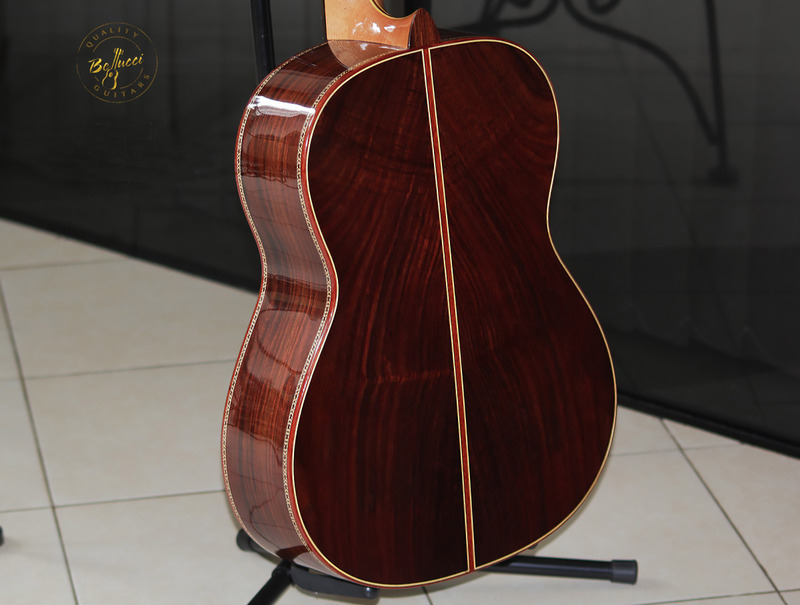 - As of July 19th 2018, Italian Guitarist Luciano Pompilio is a Bellucci Artist. 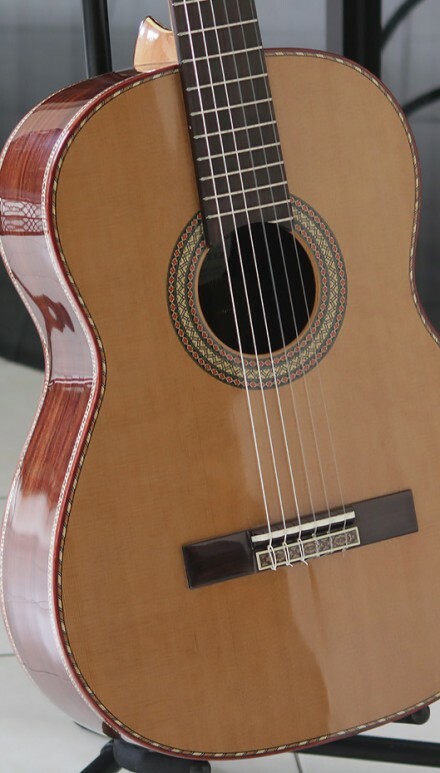 As a result of his recent visit to Paraguay, Luciano was given a Bellucci Guitar as Hommage and decided to make it his new concert instrument. 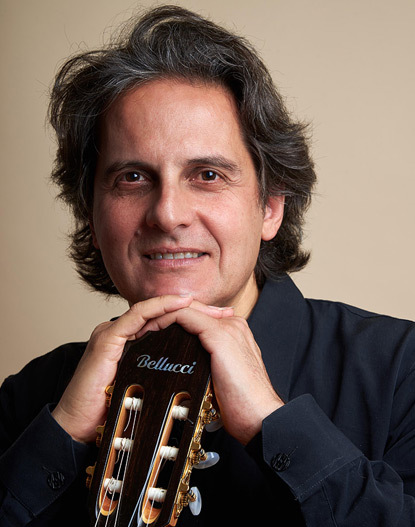 - Until Recently, Guitarist Luciano Pompilio played Müller Guitars. 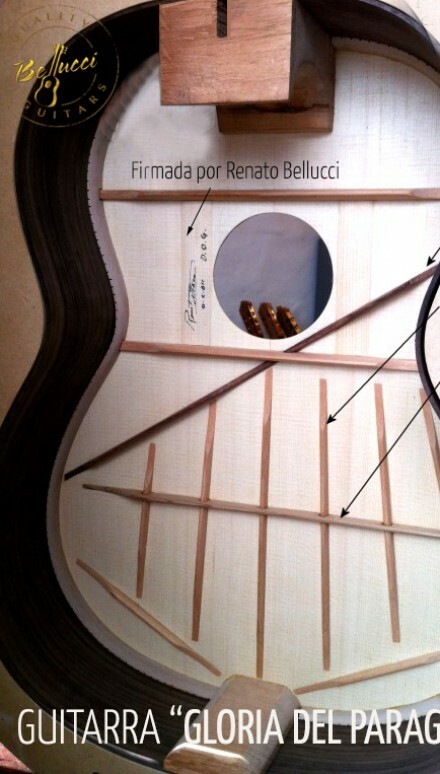 At Bellucci, we are tremendously proud for having achieved the switch between the German brand and our Paraguayan Masterworks! 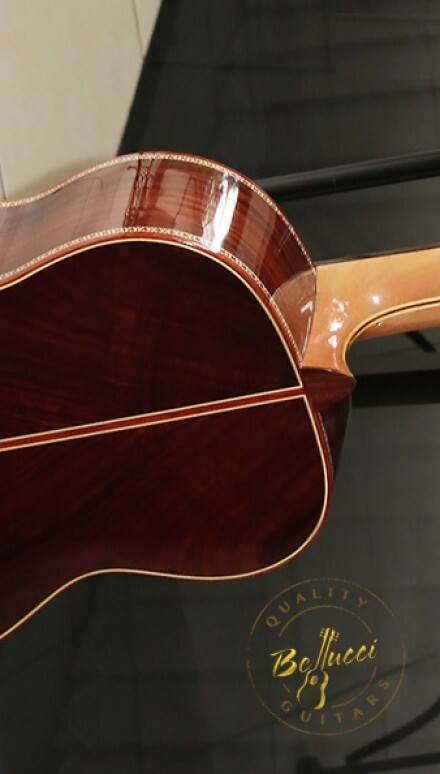 - The Hauser Frame and the innovations that Bellucci guitars has added to this epic type of bracing is the most reliable type of construction to date. 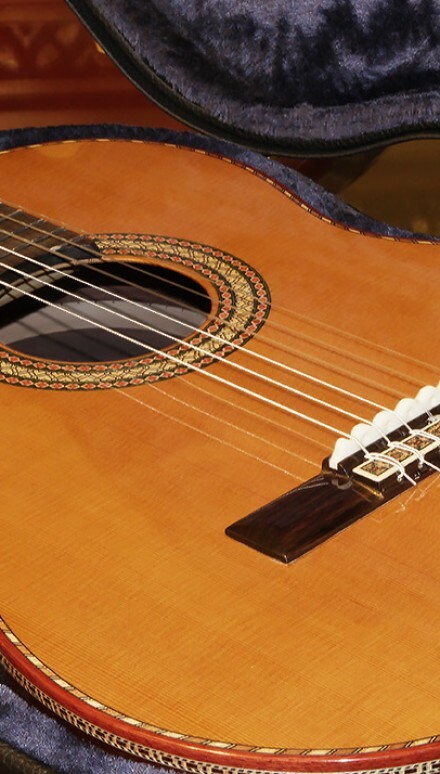 It is an all-wood construction and the sound produced is the pure "classical guitar sound"
- The Carbon Fiber Truss Rod allows the player to use any string brand or tension. 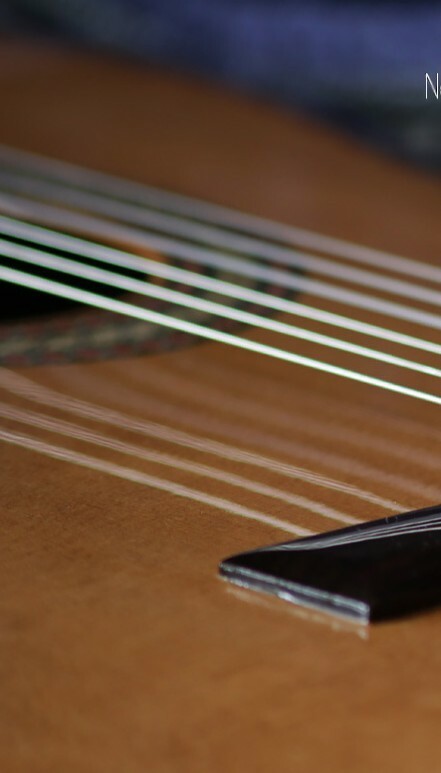 Composites are no longer a problem and the neck will stay straight for ages no matter what your favorite combination of strings might be. 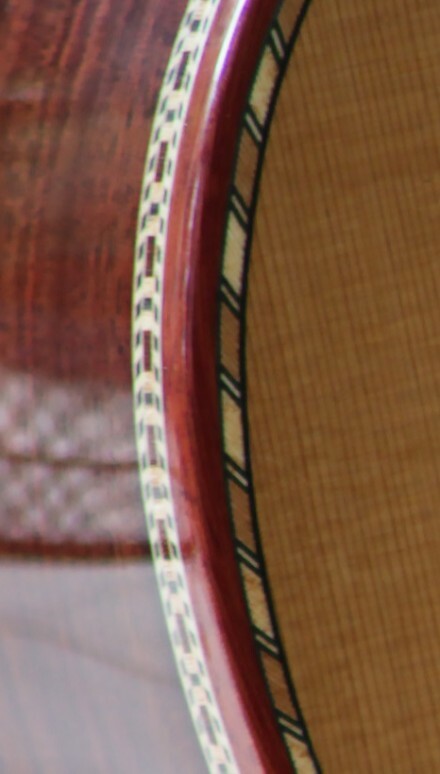 - To receive more information on this amazing instrument and to test it in person, you can contact Italian Guitarsit Luciano Pompilio. 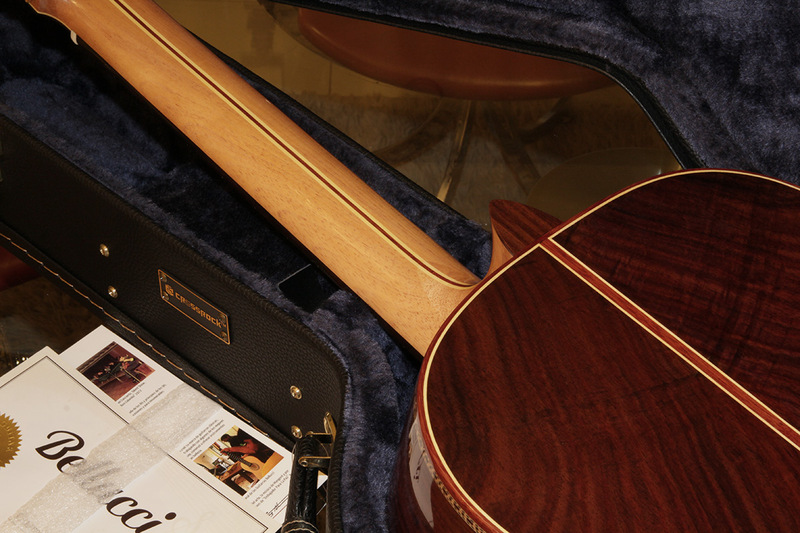 - Doubletop construction available. 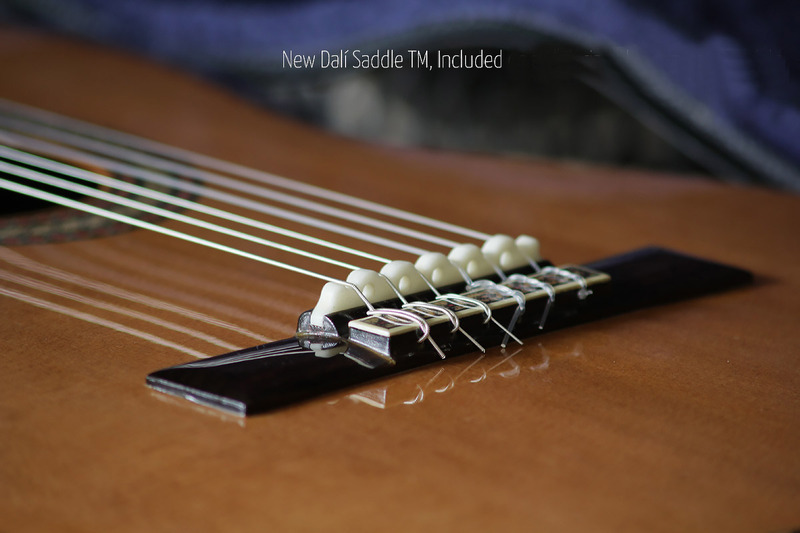 Add The option "Doubletop" at checkout. 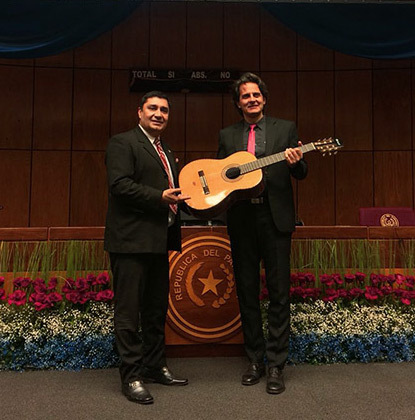 Italian guitarist Luciano Pompilio (In the Inage below, Luciano Pompilio is handed his new Bellucci Guitar at the Paraguayan Congress by Dr Enrique Castro, President of Culture at the Paraguayan Congress) was invited to join my recent concert as a which was held on July 14th in downtown Asunción. 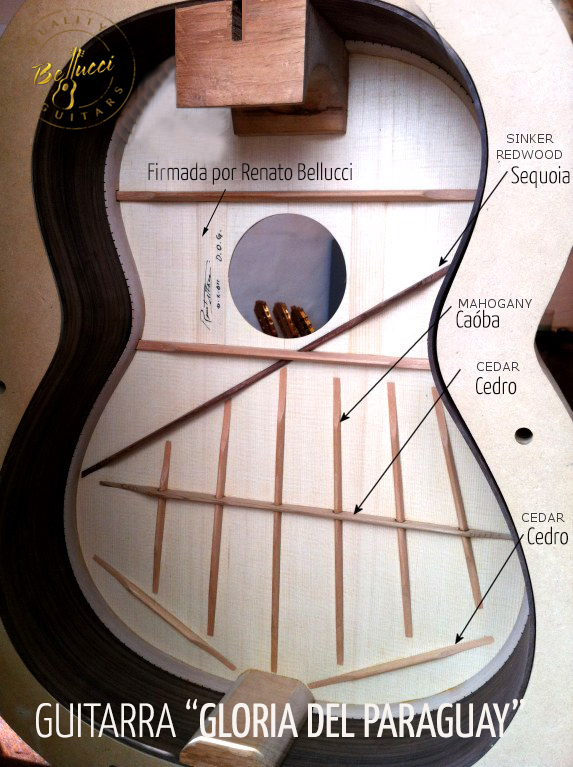 I started building a new Bellucci guitar model "Luciano Pompilio" to honor Luciano's arrival to Asuncion on July 10th. 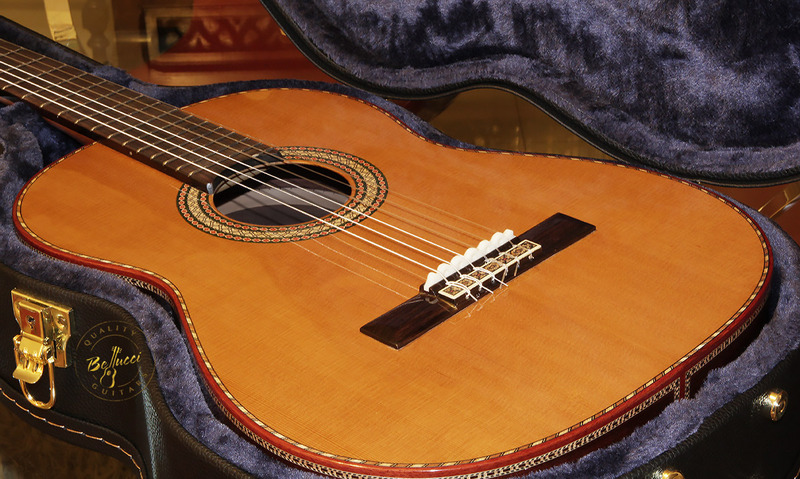 This is the guitar Luciano used in the concert we sponsored Saturday 14th at the Grand Theater "Jose Asunción Flores". 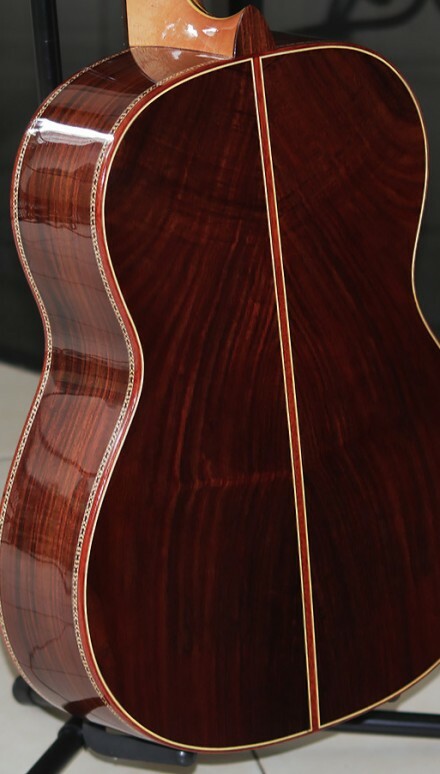 The woods used are Indonesian Rosewood for the B&S, Canadian Cedar top. 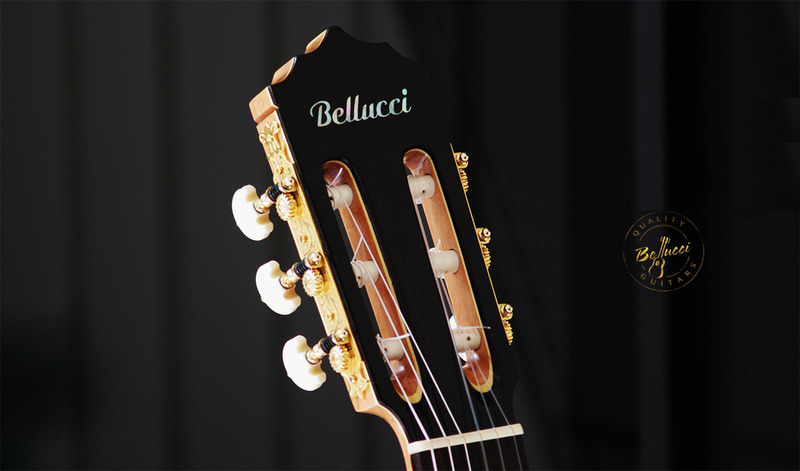 Hauser/Bellucci Braced with the transversal Bellucci modification to the fan brace to enhance mid and high ranges. 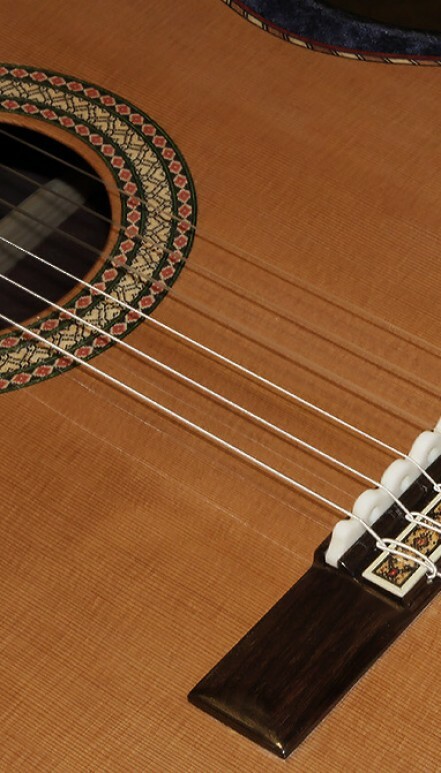 The sound on Luciano's guitar is perfect. 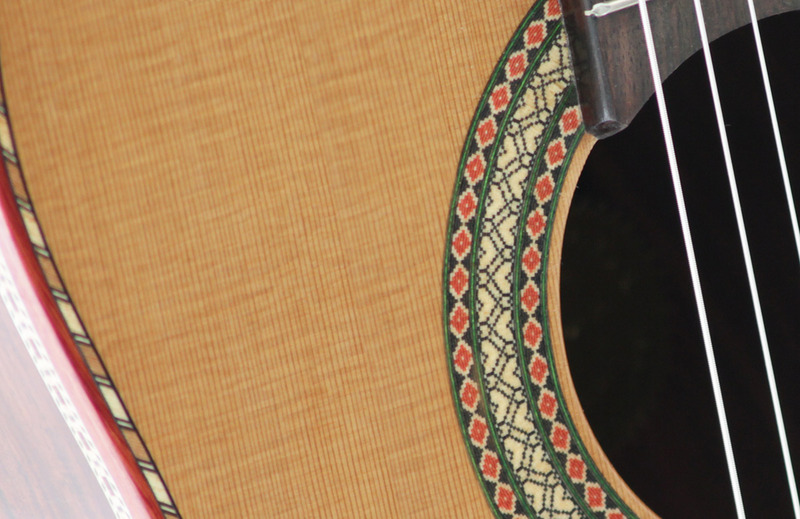 Great projection and a separation of voices to die for. 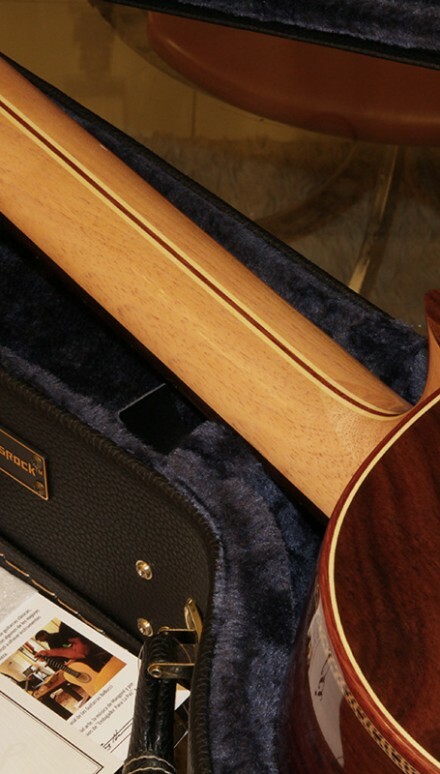 Sustain is outstanding and the richness of tone simply perfect. 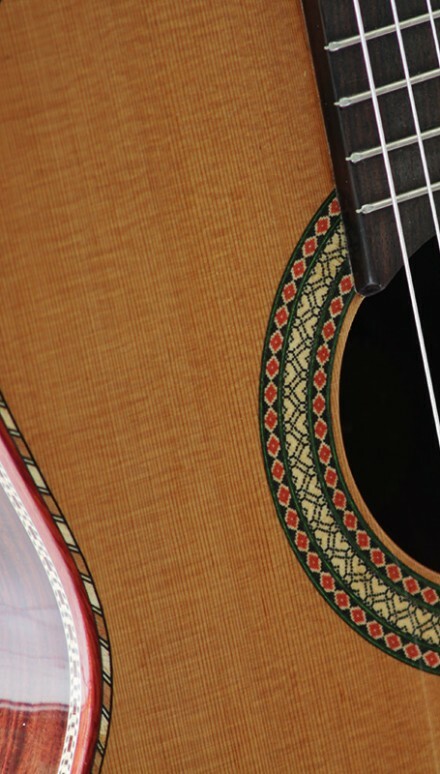 To increase her beauty, I added marvelous hand crafted marquetry and an exclusive handmade Rosette. 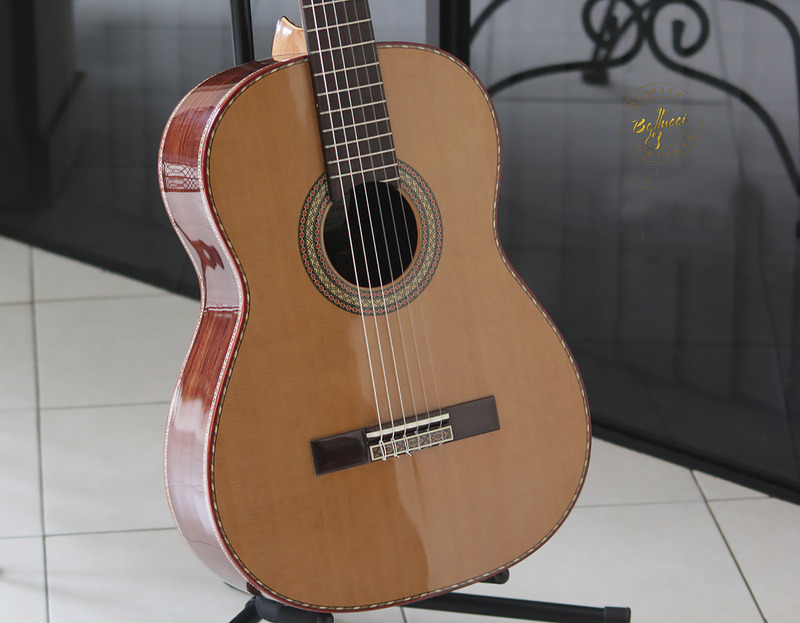 Luciano officially joined Bellucci Guitars Artist Series and moved from his German made Müller to his new Paraguayan made Bellucci guitar. 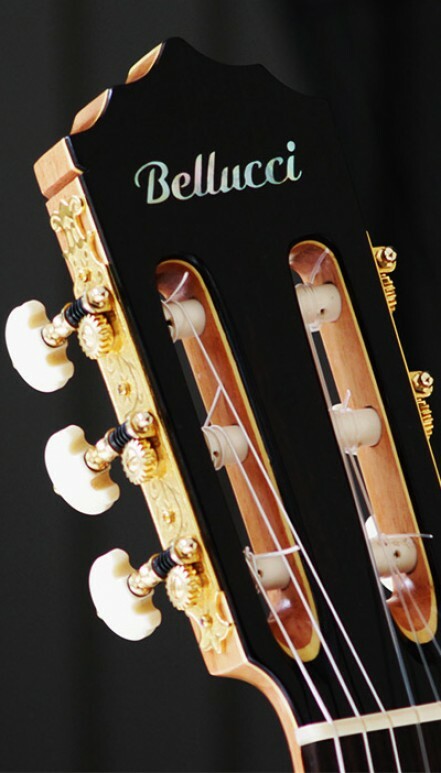 Needless to say I am tremendously proud and Luciano is constantly sending me updates regarding how well his new Bellucci is performing and how much his artistry is being elevated. S.D.G.